Have you ever been to a Mystery Room or an Escape hunt? 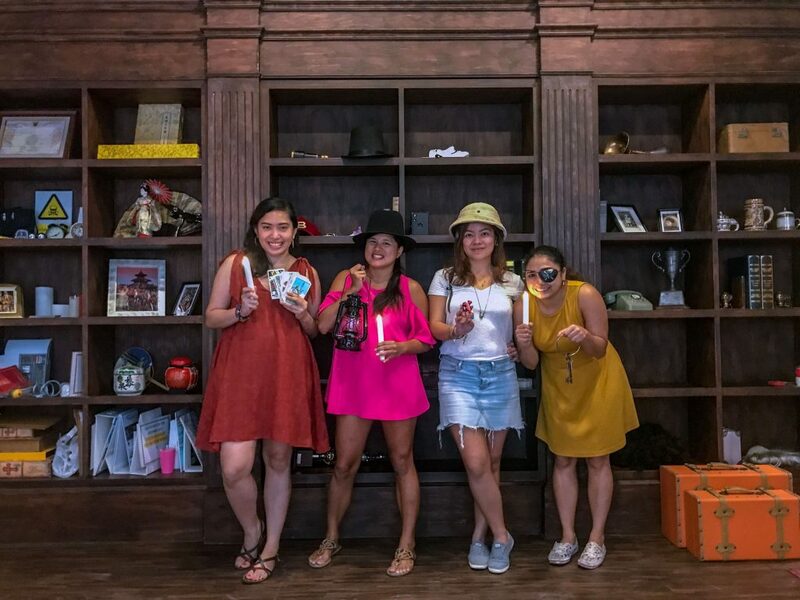 The gorditas and I wanted to try to solve the escape room Bangkok, and one of the most prominent mystery rooms in Thailand is called Ticket to Mystery Bangkok located in the Ekkamai Mall in the city of Bangkok, Thailand. 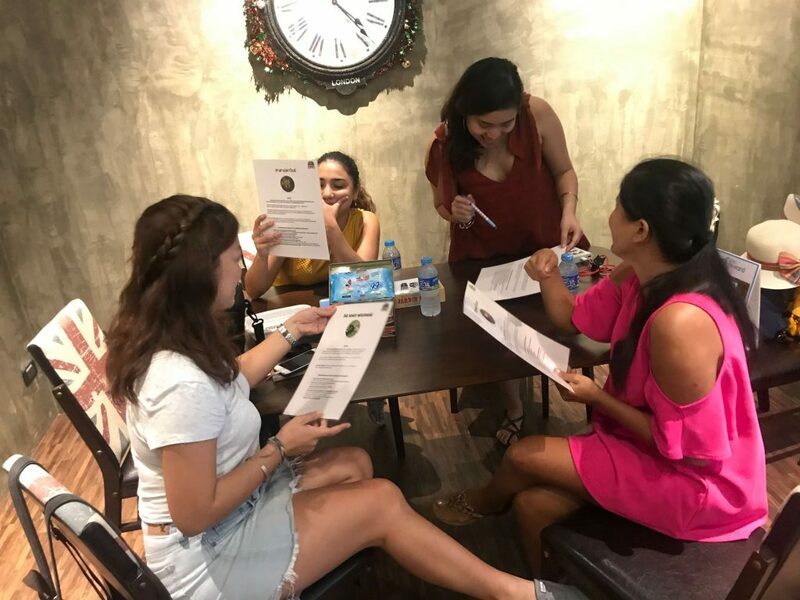 It wasn’t our first time to try out something like this, but then, either way we wanted to do something fun—and a nice round at an escape hunt bangkok seemed like just the thing that would hit the spot. 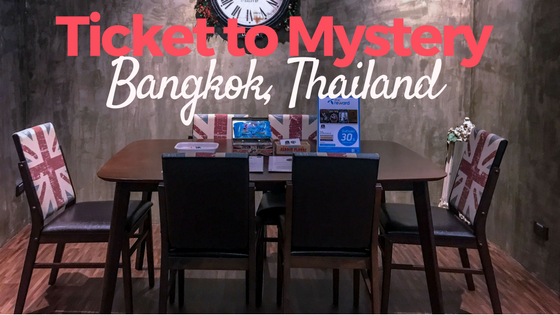 Once round or game of any mystery of your pick will cost 2900 baht for 4 people, 2300 baht for 3 people, and 1800 baht for 2 people. There’s lots of time to get in a game or two especially if there aren’t many people there, because the Ticket of Mystery is open from 10:30 AM to 9:00 PM. Funny how Sally said no violence while in there–well, we didn’t think we would be (we didn’t). But then again, fair warning because solving mysteries, especially the more tricky and difficult ones, can be quite a lot of work. Good thing I came with my good friends and we had the chemistry needed in order to solve all of the tricks and puzzles inside the mystery room. The game we played was Ripper London, where we were tasked to find out the true identity of Jack the Ripper or risk being accused and persecuted for his crimes. The room is quite dark inside, meaning you have to use torches to get around and solve mysteries which really adds to the effect of the game. The rooms was littered with different props and musical effects which really made you feel as if the mystery you were solving is true. We tackled each equation presented in the room by pairs. We all also searched individually and occasionally helped each other solve the different problems. Thanks to our strategy, we managed to solve our mystery room game in a grand total of 37 minutes. Keep in mind that in order to preserve the secrecy of the game, phones, cameras, and other gadgets are not allowed inside the mystery room so if you want to take pictures, it’s best if you take them before the game begins. 1. Honjo Masamune – Honjo Masamune is a mystery game wherein you are sent back in time to the 1700s, aka the Edo Period specifically in the year 1725. 2. Ripper London – Ripper London, on the other hand, is another game set in the year 1888, aka the year of Jack the Ripper, a prominent serial murderer during the time, which is where the mystery title “Ripper London” came from. 3. Curse of the Pharaoh – The Curse of the Pharaoh is another mystery set in the past, during the Ancient Egyptian period in the year 1323 BC. 4. Ghost Tower – Ghost Tower is the only mystery among the mystery collections which is not set in the past. This mystery is set in the futuristic, post-apocalyptic future in the year 2035. 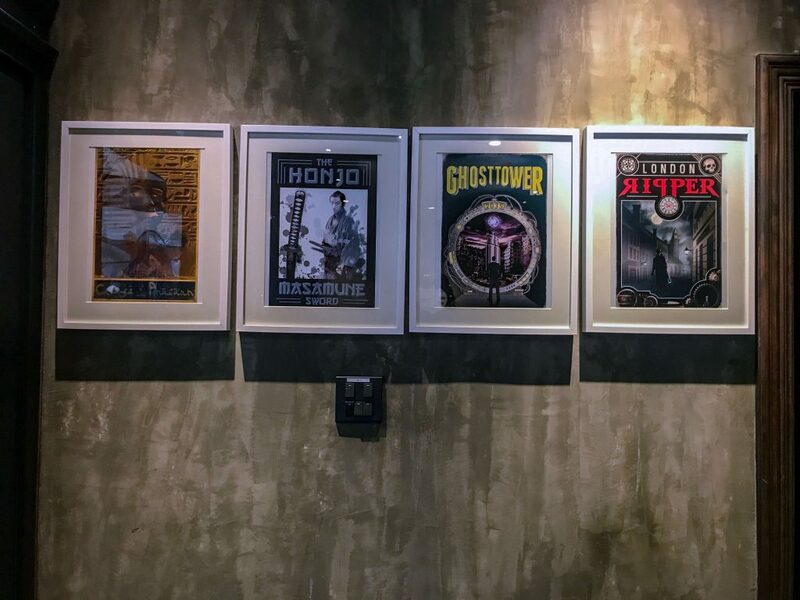 As you can probably notice, all of the games are set in different and prominent historical dates so if you happen to also be an avid history-lover, there is a chance you might really enjoy all of these historical event-inspired mystery games. 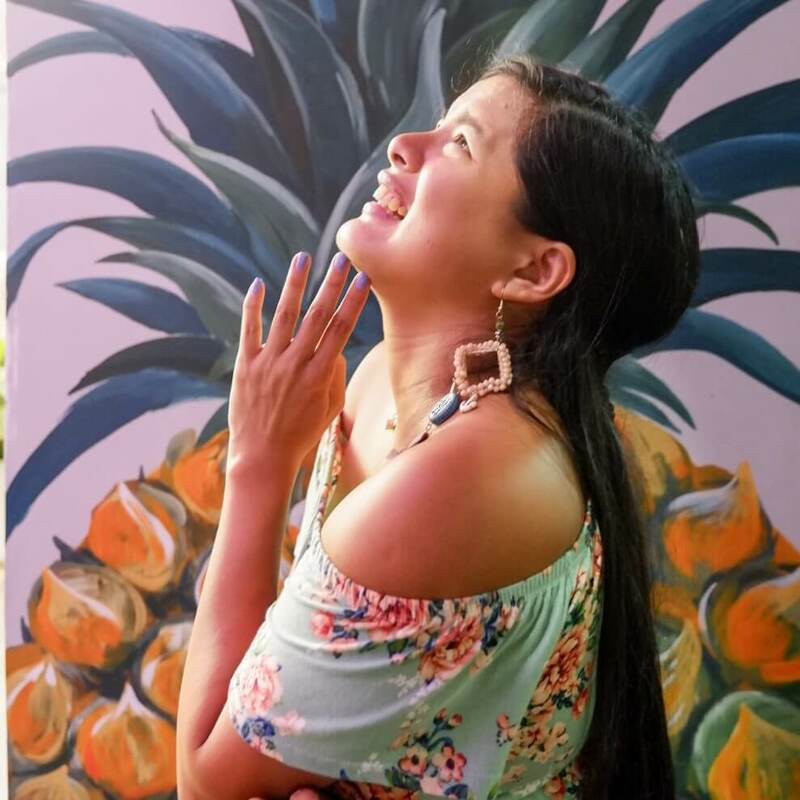 In order to play, it’s best to go through the booking process in order to make sure that you and your group will have a confirmed time and room. 1. Online – You can visit Ticket to Mystery’s website, tickettomystery.com, and book you and your friends a room. Online bookings might be more convenient because here you can book ahead in advance and choose the time that will suit your needs the best. 2. Book on the spot – If you can’t book online, you can also visit the venue itself and have the staff book for you. If you go to Ticket to Mystery, there’s no guarantee that the room you want will be available, however, so be prepared to wait and compromise in case another group is using the room or mystery that you would like to play. 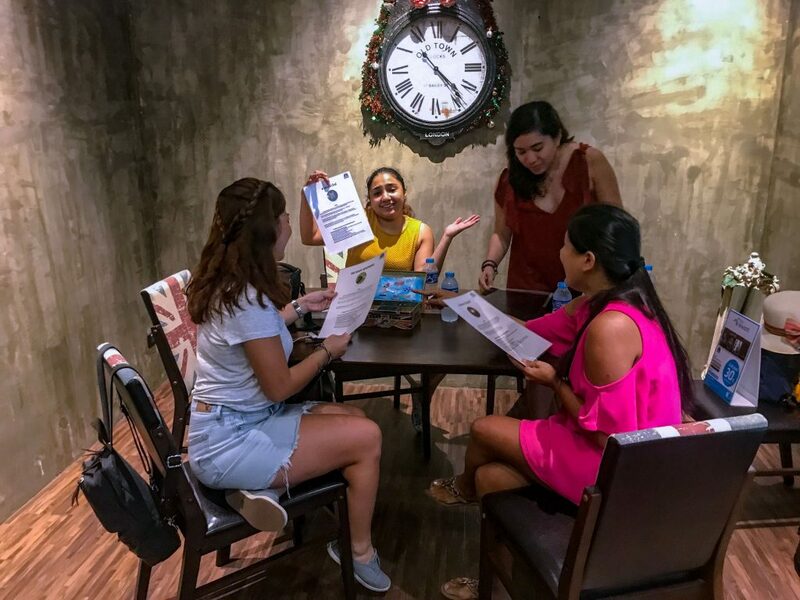 The allotted time that a group receives in the mystery rooms are a total of 1 hour, however if you complete the puzzles and solve the game early, you can end it there. If you’re having a bit of trouble completing the different aspects of the game, you are given three hints if you need it. 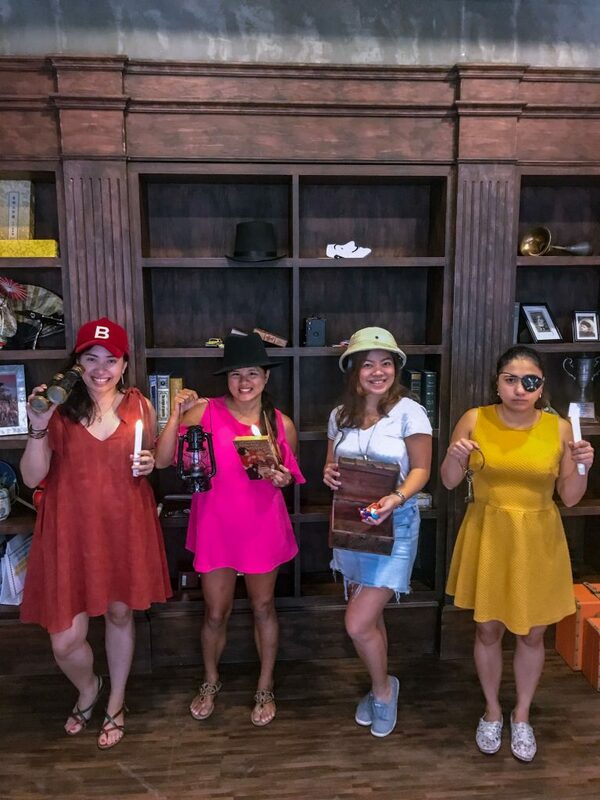 Once you complete the game, Ticket to Mystery also has props and items you and your group can pose with and take pictures for commemoration. We super loved it, we even wanted to try one more game but then, unfortunately, we didn’t have any time as we had to go—it was regretful since the mysteries were just so addicting. Perhaps we will make mystery escapes a thing for us. 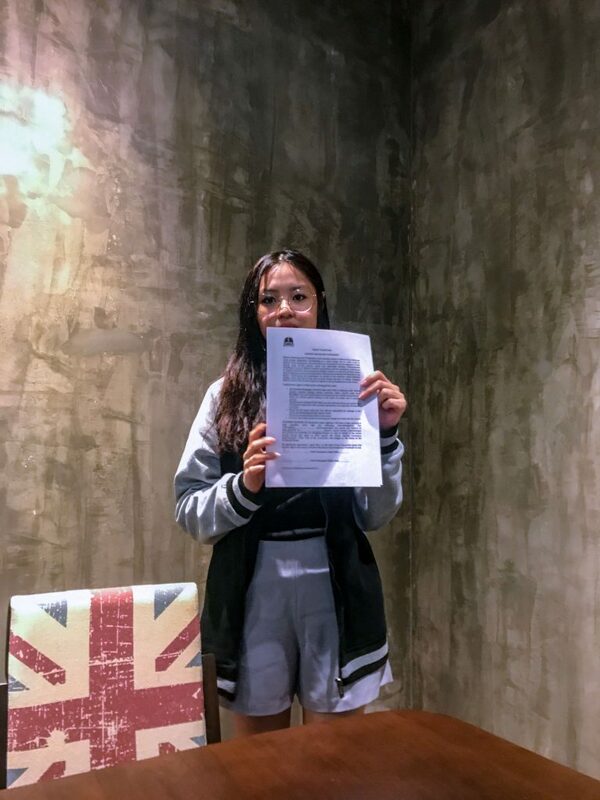 Ticket of Mystery is located at the third floor of the Gateway Ekkamai Mall, Bangkok, Thailand.